This is 3 series blog provides guidelines and necessary steps to perform installation of SAP S/4HANA 1809 – FPS00 as part of new implementation project. This section, highlights some important SAP Notes and links that needs to be referred before starting the implementation. As few SAP Notes gets updated frequently, so its good practice to refer the latest version of it before proceeding. This section gives an overview of the components of SAP S/4HANA 1809. 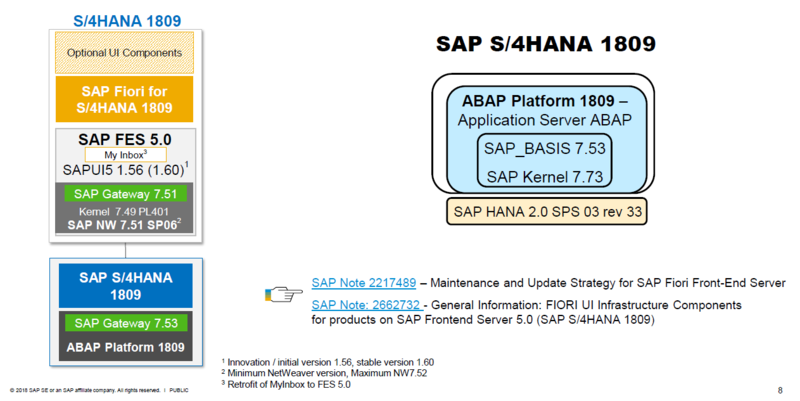 Below provide the glimpse of component and database involved in S/4HANA 1809 installation. In PAM, it is mentioned that minimum required version for HANA is HDB 2.0 SPS 03, but there is no mention of its revision. 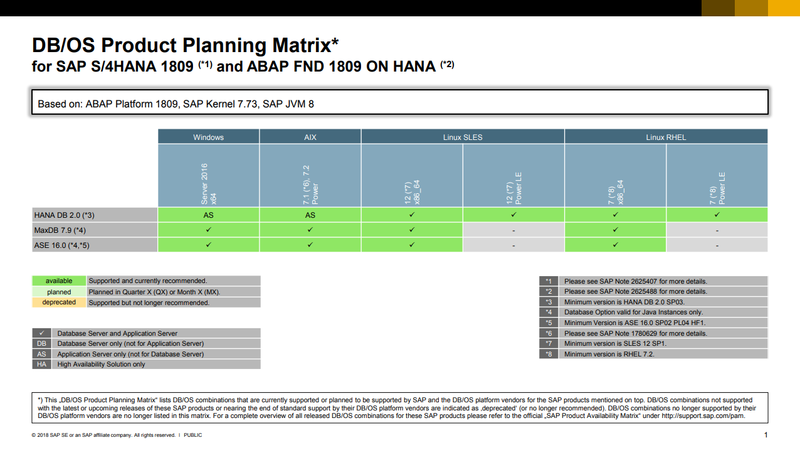 So make sure that your pre-installed HANA database is on HDB 2.0 SPS 03 Revision 33. IMPORTANT NOTE: HANA Database can also be installed with SWPM as part of installation procedure. Just download relevant media and provide the path in SWPM when prompted. As we are performing Embedded Fiori deployment for S/4HANA 1809, it’s database will also be HANA. But in case if you are performing Hub Deployment, below are the supported database for SAP Fiori. 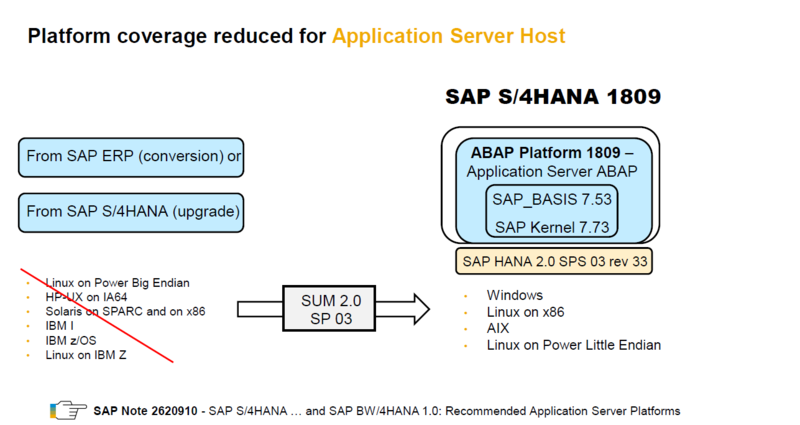 From SAP S/4HANA 1809 release and the next SAP BW/4HANA release (planned SAP BW/4HANA 2.0) will support the application server platforms Windows, Linux on x86, AIX and Linux on Power Little Endian, only. For new installation, it’s rather easy where as customers who are thinking for system conversion to S/4HANA 1809 need to consider this in their planning. SAP recommends using Maintenance Planner to plan the installation. 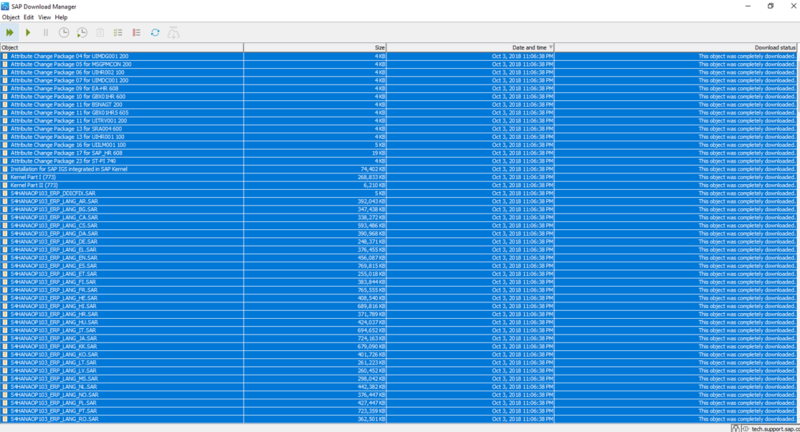 The Maintenance Planner creates a stack XML file with the support package stack information that you then hand over to the Software Provisioning Manager (the installer). Click on “Plan for SAP S/4HANA”. NOTE: The reason of using “Plan of SAP S/4HANA” tile over “Install a New System” is that it take cares all add-on compatibility for your Fiori for S/4HANA which we have to figure out manually when “Install a New System” tile is used. Select your OS/DB files. SUM is required to perform upgrade, so kindly select Software Update Manager 2.0 as well. Check all files that are included in stack. Download “.xml” file and push files to download basket. In XML, all media that are selected are required for upgrade. But to perform the installation of S/4HANA 1809 server, download all 20-installation export (S4CORE103_INST_EXPORT*.ZIP) from Service Marketplace – Download Software section. NOTE: You do not need to extract zip files, we will just provide files as-is when prompted in SWPM. Once the download is completed. Transfer files to server. NOTE: Also download media for HANA Database, if you planning to install it as part of your SWPM run.